A lot of time has gone by since I reviewed something that isn't a game on a website. Back in the old days this was a regular thing, with the site I wrote for being well established and easier to reach out to the big companies who would lovingly send out any fresh new items they were eager to promote at that time. Venom kindly took the subtle hints on wanting to review some of their gaming stuff on Twitter recently when speaking with a follower who was on the look out for a battery charger. 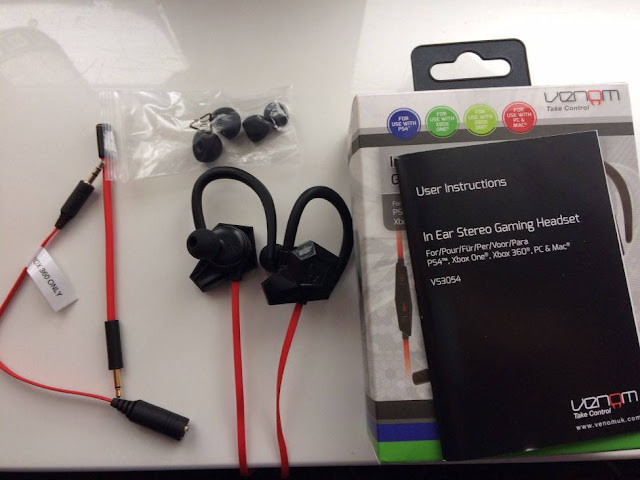 While they didn't send out the charging device we were speaking about, they did send me their latest in-ear stereo headset which currently sells for £19.99 on Amazon. I think it's fair to say that Venom perhaps isn't a name that jumps out to everyone when they think about buying a new headset for their console of choice. But while not being a brand known by all, they look to at least offer a cheap way in for those looking at getting hold of a headset for multiple devices, with this one working with pretty much any device you want it too. 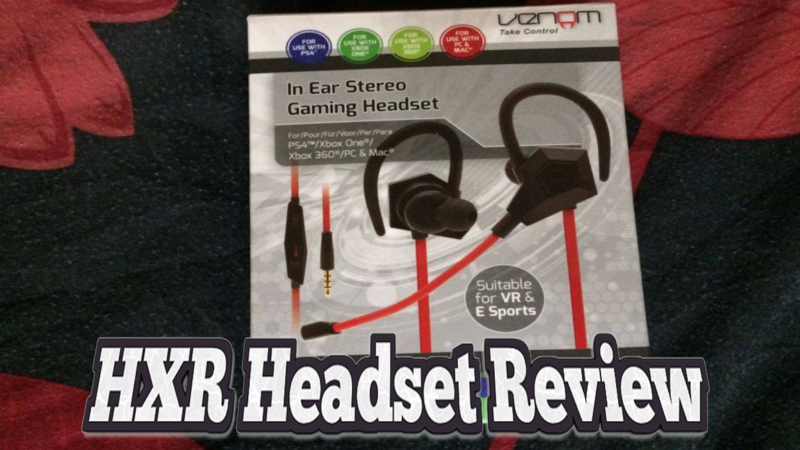 The first (and only) headset I used and reviewed of Venom was the vibration headset, which was first reviewed by me way back in May of 2015. It clearly did an alright job when I did use it as I gave it a 3.6 out of 5 (so hard to score things with such a low number), with the only annoyance at the time being messed around and needing a headset adapter which would make the final cost of the headset (at the time) about £70.00, and it wasn't a headset that felt like it was worth that much money for me. Going into this review I didn't know what I was expecting in all honesty, but my headset reviews have always been less about tech and more and value and performance for the people who read these. 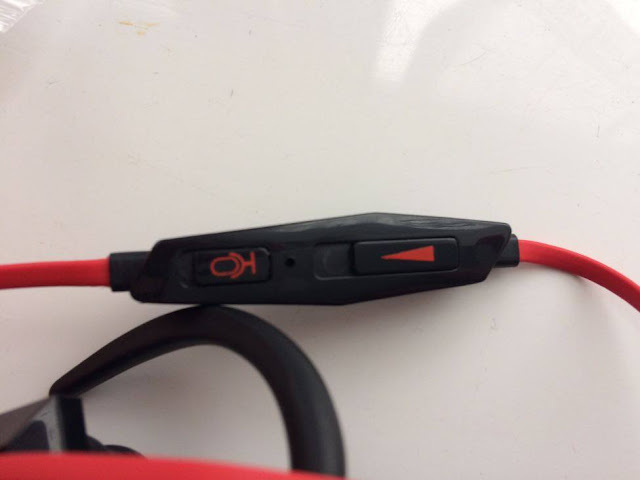 So if you want more details about what's under the hood with this headset, then I suggest looking elsewhere. Getting the package I was a bit taken aback by the size of it all, as I tend to see headsets these days having these huge boxes with most of them filled with nothing but fresh air. Opening up the box to see the headset for the first time too, I've got to say was nothing special, with the contents all very basic looking. Putting that to all to one side as I got all the contents of the box out, I couldn't help but be worried that the earbuds these had on them would be super uncomfortable when having to use them for this review. While they do come with three sized buds to make them a perfect as fit as possible, no matter the size you're still having something in your ear rather than sitting on top of them. Sure I've used in ear earphones when out and about with music on my phone and that's fine for a set amount of time, but for long periods of gaming I just couldn't see myself being comfortable with them, and that's pretty much the experience I had with them in these last few days. While being alright for 30 minutes or so, I did always reach a point when I began to find myself constantly moving them about as they slowly began to annoy my ears. This may just be my own personal taste mind you so those who use this sort of earphones might not have such an issue with them. Sitting down over the last few days I've used these for gaming, watching movies/TV, and also music on the laptop. One thing I will instantly say about the sound they produce out of them will be very tinny if like myself you're used to a standard headset that offers a lot more bass to them. It's not to say the sound coming out of these is terrible, but I guess for what you're paying it's what you would expect. Then the last thing to speak about is the mic, and as you can see by the picture above, it pretty much offers the experience and quality your mind tells you when you first see it. Not reaching my mouth when wearing it there were times when I could hardly be heard, and even the low standard quality noises we have come to expect from these low budget headsets were there too. I wasn't really impressed with this side of the headset at all if I'm being honest, but then again I have been spoiled with higher quality mics since I got my Xbox One. Overall: I guess for the £20.00 asking price of the headset you are getting what you are paying for, with this very much being a headset I would only give to someone who has a habit of breaking all their other more expensive headsets. Mic lets it down badly, with the only good value feature to the headset being that it will work on numerous consoles and device. If you were to ask me would I go out and buy these for myself with my own cash, then honestly the answer would be no. I would save up a bit more and buy one with a bit more quality to it. Sorry Venom.